Words like "heritage" and "authentic" get tossed around a lot in both the handmade sphere and men's lifestyle content. 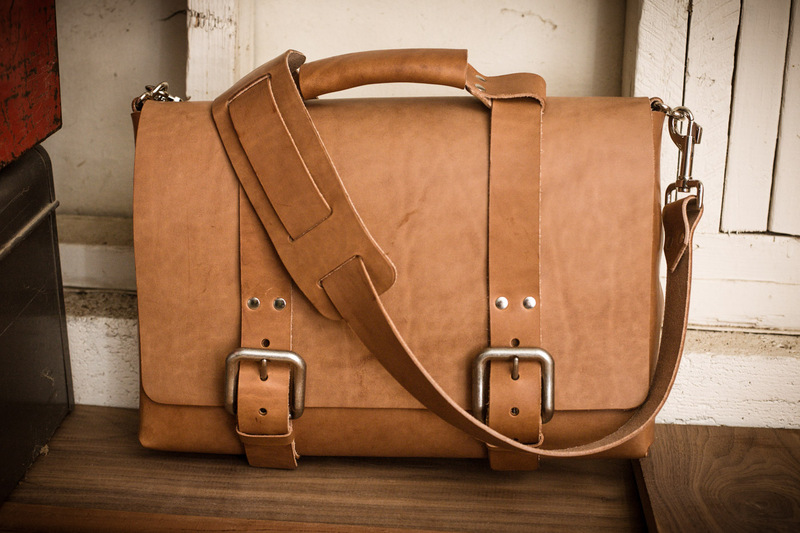 I'm not going to use those to describe the Men's Leather Briefcase from the Mr. Lentz Shop. What I will say is: this is one of the most beautiful objects I've ever held in my own two hands. 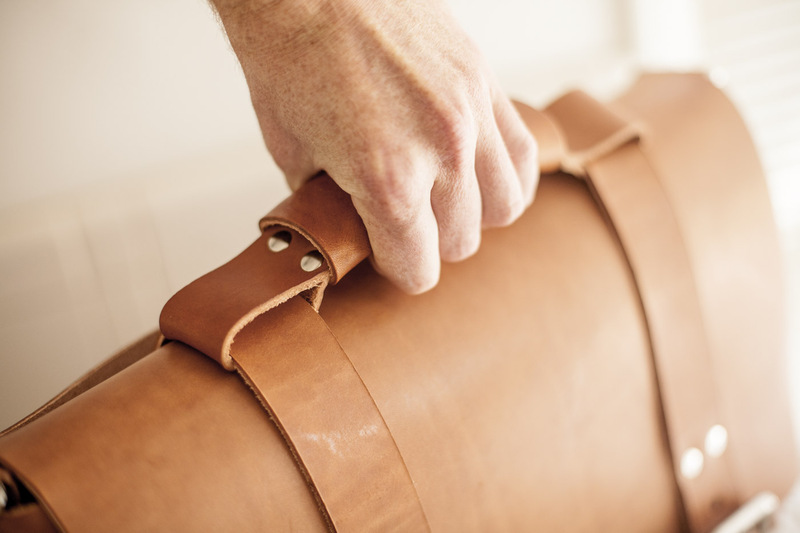 Mr. Lentz is run by Evan Lentz, a one-man leatherwork and accessory shop based in San Diego. 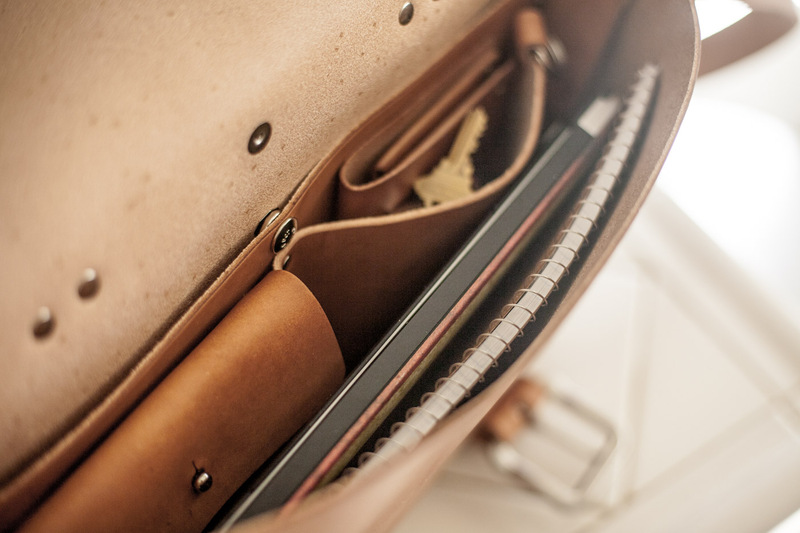 He works with full-grain veg tanned leather from the finest tannery in the US, and uses serious brass hardware that's built to last. 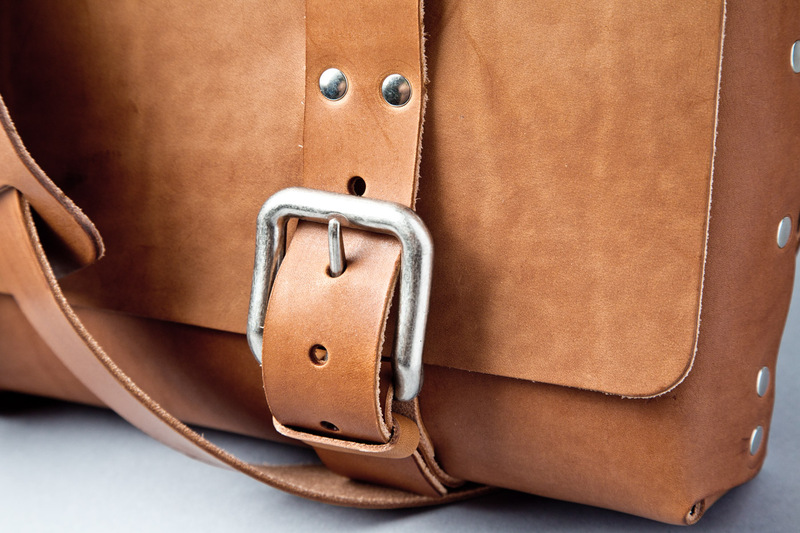 Every piece piece is backed with a 100-year quality guarantee. After experiencing them in person, I suspect they'll last even longer than that. Evan is a friend of ManMade, and we're proud to offer an honest, unbiased review. Errr... At least I wasunbiased prior to receiving it. Cause after opening the box, I have become quite biased indeed: I @#%*king love this thing. The beauty lies in its simplicity. 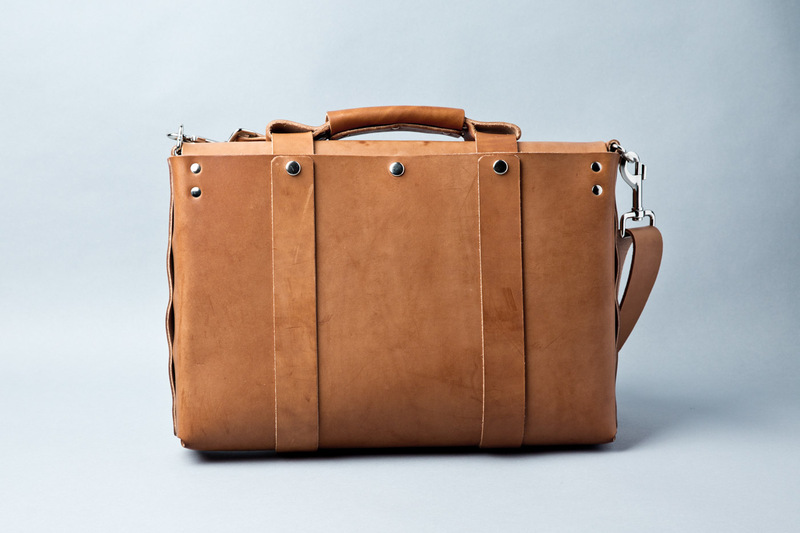 It is, without any bells or whistles, a classic leather briefcase with attractive proportions and appointments. 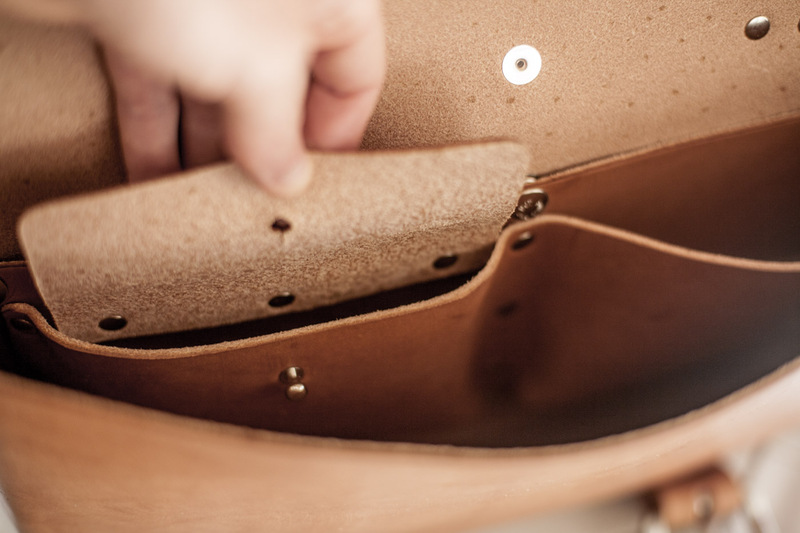 The leather is thick but supple, and bears the details and just-perfect imperfections of being hand-tooled. And the look can't be beat. 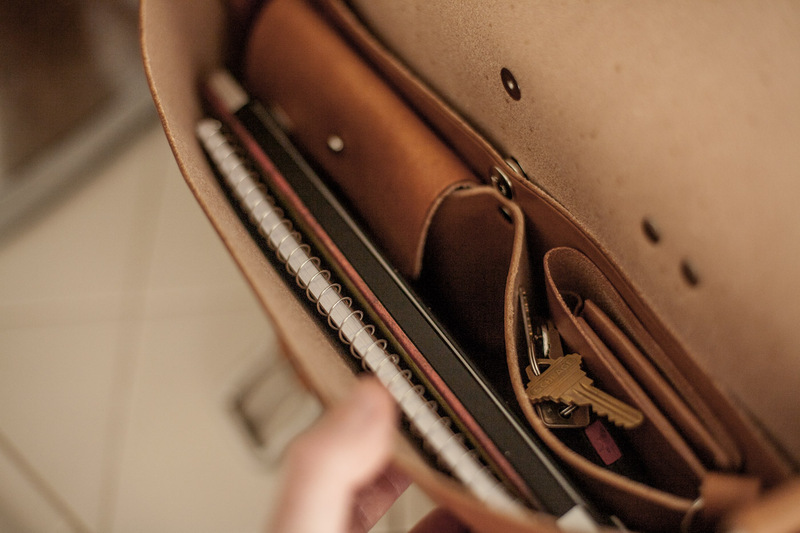 The insides feature a few pockets for keeping things organized, but mostly, it's a large, single compartment for whatever you need. 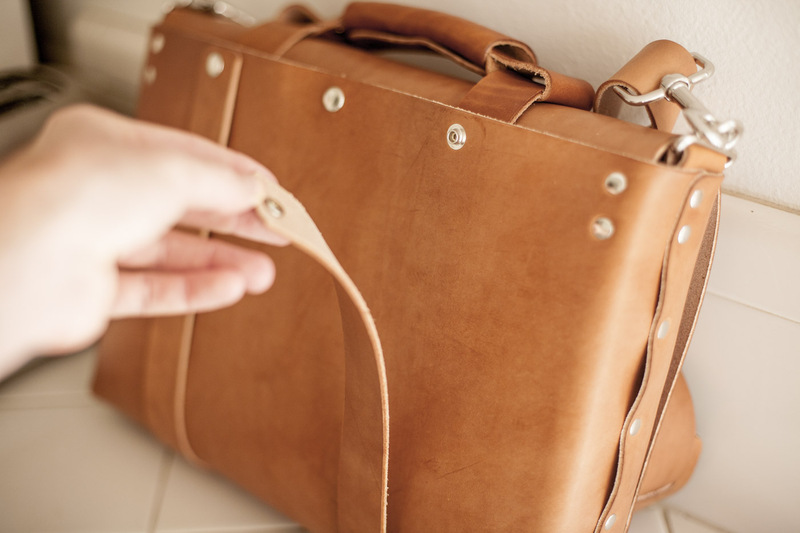 There's a pocket in the back as well that closes with snaps, perfect for a folio, file folders, or a notebook. (I like to put my cables and cords back there. What's most fascinating to me (as a novice leatherworker) is seeing how the whole piece is assembled. The design work is clever, and exploring the insides makes me appreciate it even more. The main body is constructed out of a single piece, and the front flap cover tucks inside to support the inner pockets and create the slim back pocket. 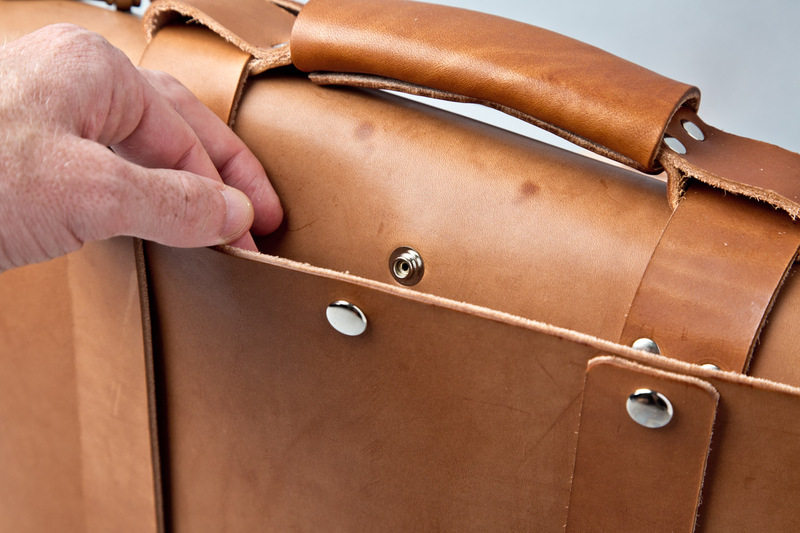 The whole case is held together with rivets and snaps, so there's no stitching that can wear out. That's how you can make a 100-year guarantee. 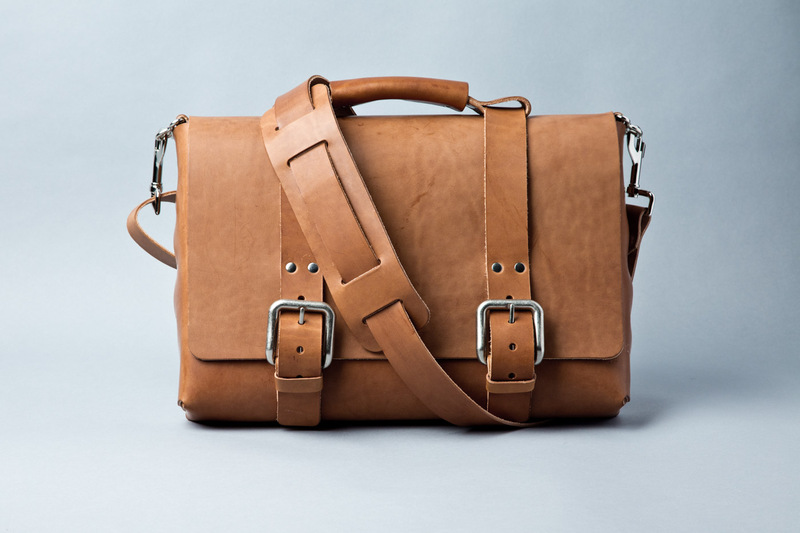 There's both a robust handle, and an adjustable shoulder strap with a wider comfort flap that, in combination with the oversized buckles, sells the look of the whole thing. 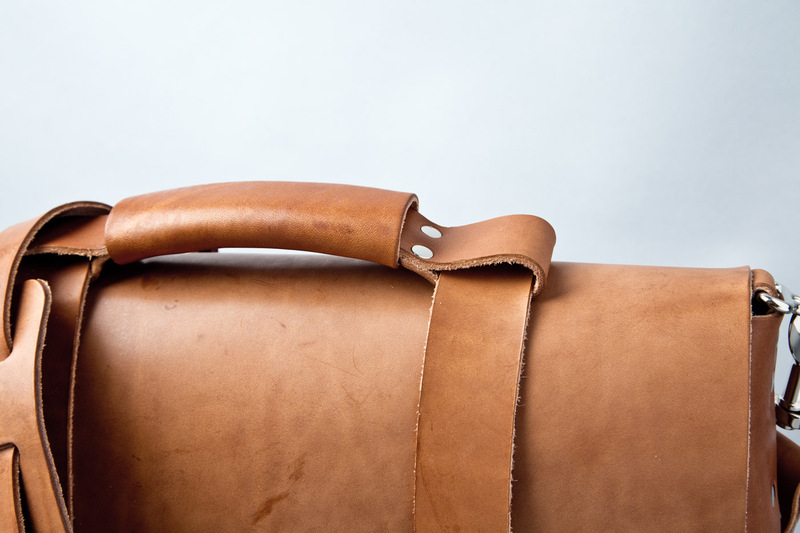 The strap is removable if you ever want to carry it by the handle alone, classic buisness man-style. 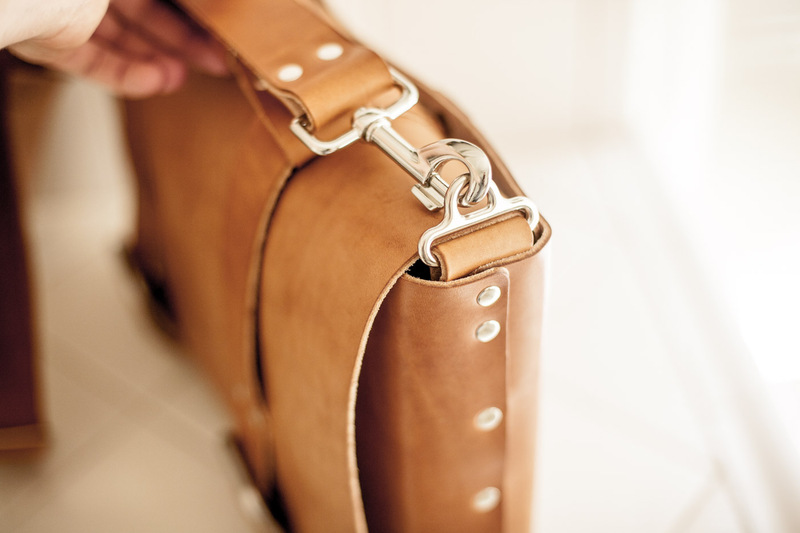 There are two straps on the back that unsnap to fit a magazine or newspaper while keeping the front buckles attached (nice for flying). I'll use these to attach the whole thing to the rear rack of my scooter for security, where it won't slip and slide around. If there was one thing I could change, I wish the assembly was just a half inch wider. While my 15" MacBook Pro fits, it does so just barely, and there isn't any additional room for a protective sleeve. My computer is a few years old, and I know more current models are much thinner and less wide. 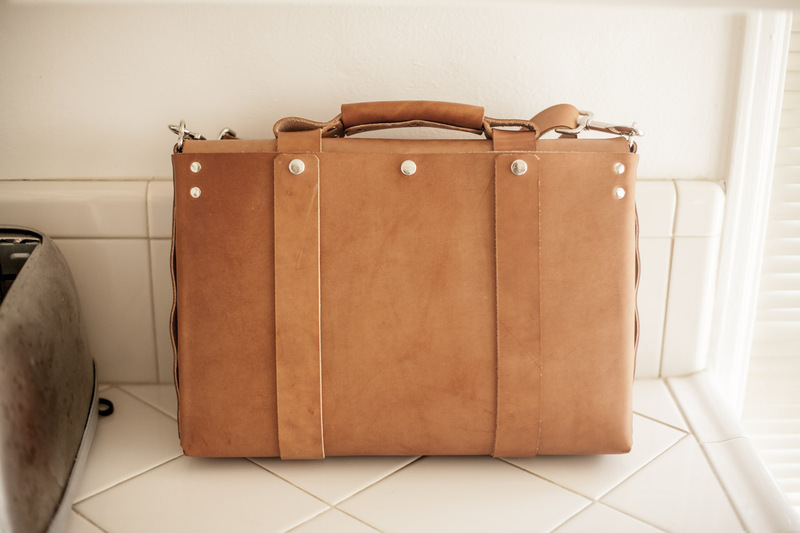 Also, Mr. Lentz does offer several larger bags and briefcases, and the dimensions are listed on their website. More than anything, the feeling I get from carrying one these is, simply, pride. I'm honored to own this, and I can sense the integrity of its whole story every time I pick it up. And I look forward to experiencing that... for the next 100 years.